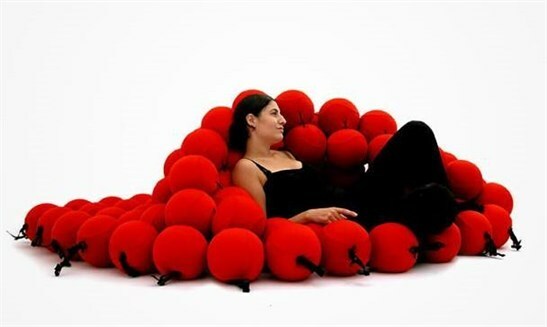 This bed is like a giant cleaning brush, designed by designer Ron Arad, a student at Columbia University. This bed achieves the complete comfort of its user, with a hidden curve shaped like a sleeping object. 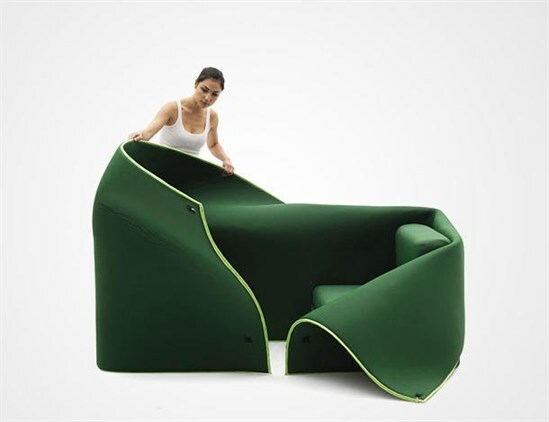 It is designed by Tania Agueniga. 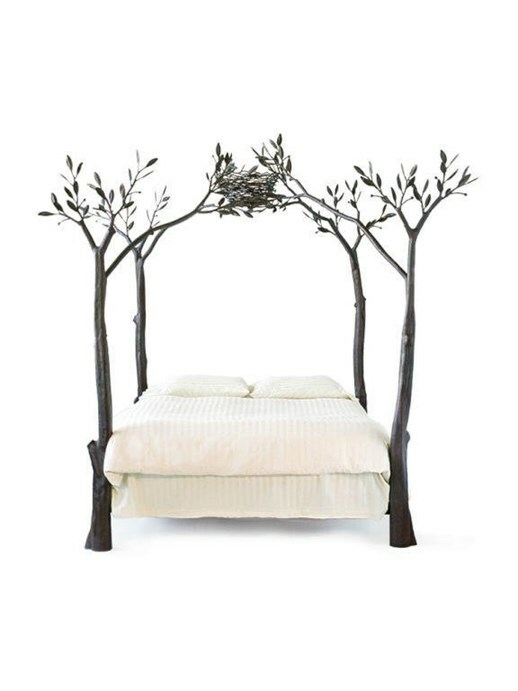 The design of this bed is designed by Shaw Lovell, who gives the sleeper the feeling of sleeping in the forest, with four pillars in the form of tree branches. 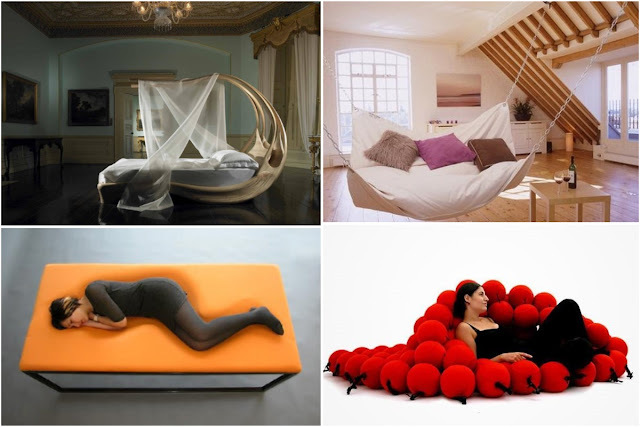 This bed faces the problem of the narrow urban space. 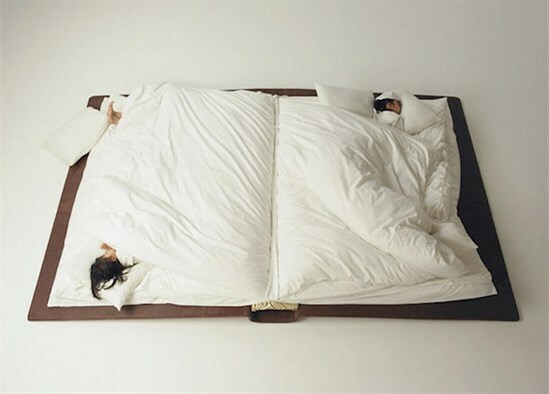 It was made by the photographer and creative designer Yusuke Suzuki, folding and making it a book body. 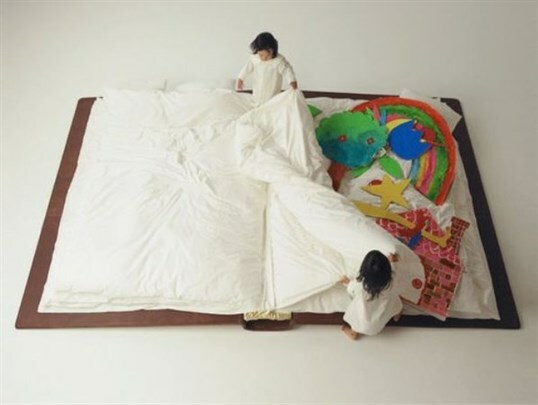 When the book is opened at night, the pages are quilts and cushions, and the latter come in large shapes and figures, allowing the use of toys, also, by the young. 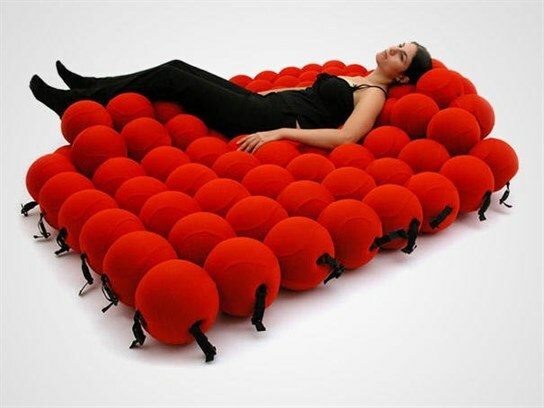 This bed consists of 120 soft balls and is convertible to a sofa, if needed. This bed combines attractive and practical décor, and is the perfect choice for a tight house. 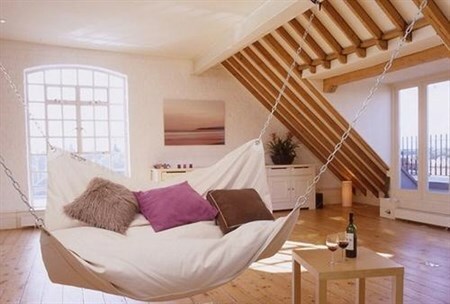 It can be removed when needed and easily moved to another place to clean it down. 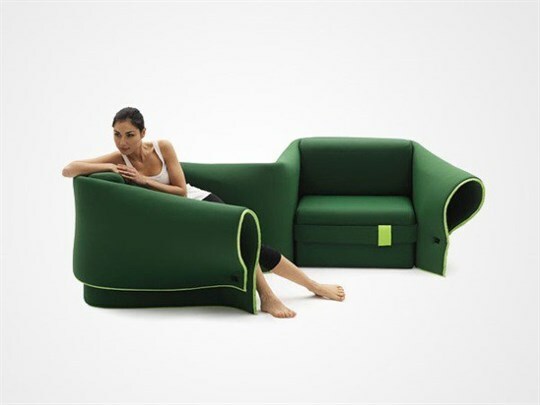 The chains can be shortened at the back to turn it into a soft sofa. This bed is designed by Le Penoc. 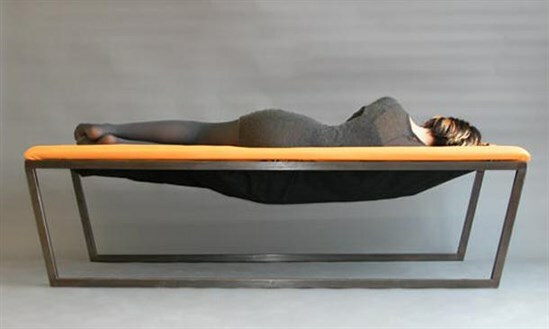 Susia consists of two chairs that can be combined to form a bed to lie down during the day. 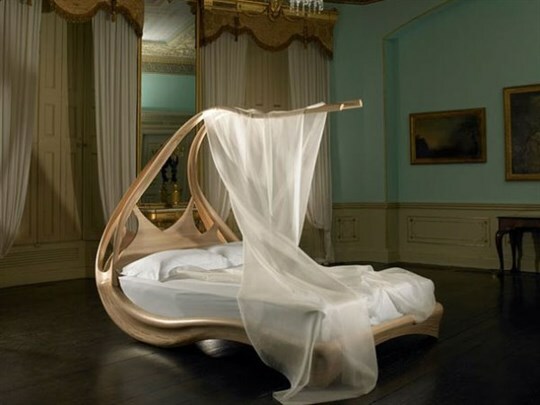 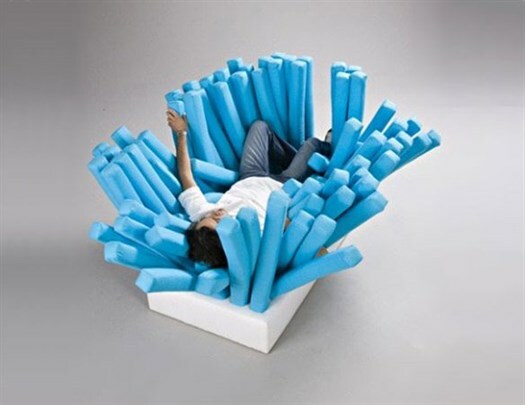 Emmanuel Magini designed this innovative bed. 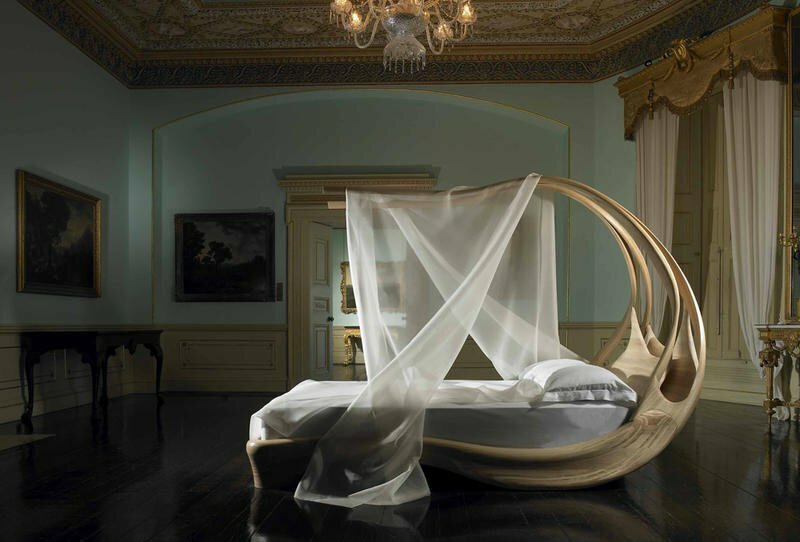 This bed hugs and protects the sleeper, which is made of wood and designed by Irishman Joseph Walsh.